Long on style, this essential all-cotton tee features an extended hem length and enhanced mobility at the shoulders. Cuffed sleeves add modern detailing. 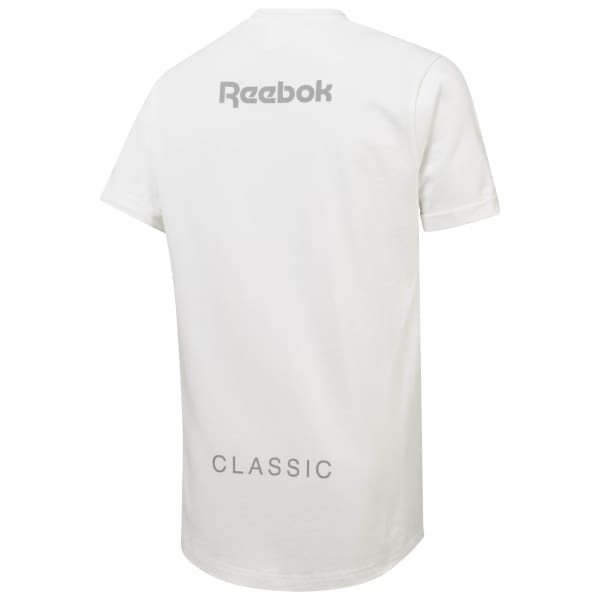 Solidly simple on the front, the back features two tonal graphics for a subtle Reebok Classic shout-out.